Montana of 300 is arguably one of the best lyricists in hip hop. He has built himself up an enormous fan base while staying independent, which is something that is hard to do in the industry today. While Montana is well known for the way he slays his remixes to popular mainstream songs, he also has plenty of original work that is just as impressive. At the core Montana is a lyricist through and through. Last week, we were lucky enough to get the chance to speak with the rising star in regards to his latest album Fire In The Church as well as several other topics and we are excited to share his thoughts with our readers. Just two hours after Fire In The Church was released, it was the number two album in the country. This stat would be impressive for anyone, but as an independent artist its holds to be truly special. The project itself kicks off with “Heatstroke” – a track where the emcee refers to himself like he has in the past, as the “rap god”. The first cut sets the album moving like a bat out of hell. 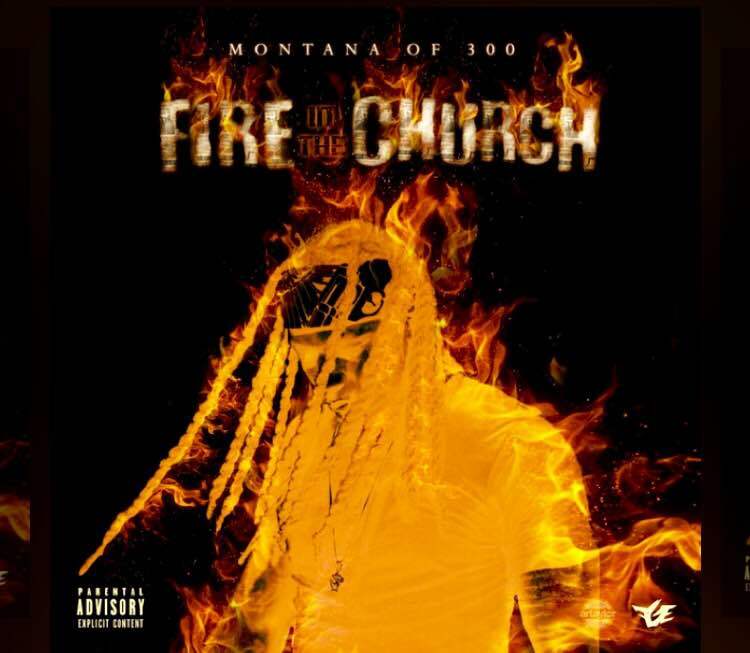 It is a pure and sweet five minutes of Montana killing the beat with some otherworldly bars that set the tone for Fire In The Church as a whole. For those who are fans of lyrical artists, this project is a must listen. Whether it’s slower tracks like “Wifin’ You”, deeper tracks such as “Down Here“, or more upbeat cuts such as “WTS” and “Here Now”, the tempo and tone doesn’t phase Montana. He molds his flow and maneuvers his vocals around each beat with expert precision. Not to mention, he still leaves each track packed full of some of the most clever verses you’ll hear. Fire In The Church is a well rounded project that has a little something for everyone. Of course you can always count on Montana to have some depth to his material, but this Illinois lyricist is really helping to put the content back into hip hop. On this project Montana demonstrates how far his skill set extends outside of the clever bar-for-bar wordplay he’s known for. Sure, he is still coming with the heat we all know and love, but he is able to make slower songs geared towards the ladies and tracks we could easily see becoming radio hits without letting up lyrically. All the while managing to stay true to himself and his team. The loyalty to his team can be seen from the get go with there being only a couple features on the album that don’t come from members of Montana’s Fly Guy Entertainment. The most noticeable feature on the album though would be Kevin Gates. Gates’ flow works well alongside Montana’s and the two certainly have a hit with their track “Goonies”. In our conversation with Montana, he gave us some insight on how him and Kevin met as well as how that track came to be. We believe that part of the reason Montana’s fan base is so loyal is because of how genuine and real he keeps it in his music. In an age of music where people frequently will talk a lot without ever taking any action, Montana is a breath of fresh air. This is a project we would absolutely recommend to a friend. On that note, we encourage our readers to go listen to Fire In The Church and let us know what you guys think. Below you can read our exclusive interview with Montana of 300, as well as find out about upcoming show dates so you don’t miss him coming through your city. How’s it going? This is Jason with Fashionably-Early thank you for taking the time to knock out this interview. This is Montana. It’s all going good. No problem man, I’m excited to talk about the project. Awesome, we’ll jump right in. 18 months ago you released Cursed With A Blessing and although you did have music out previously, this is when you first started really getting recognized. Now 18 months later Fire In The Church your most recent project is out. What are some lessons you have learned and applied to your music and your life in general in the last year and a half? Well I’m a firm believer in steady growth. A lot of people in life period want to take the short route. I never wanted to be an artist who signed a deal and five minutes later wondered why I just signed that. If you take the shortcut you almost always are going to end up with the short-cut. So I decided to stay independent and see how far I could take this on my own, not depending on any labels or anything, if that makes sense. What I learned was to keep the fire. Build yourself a foundation and if you do that on your own you don’t need what labels have to offer. Really the biggest thing I’ve learned, is to stay focused on always building and moving towards your goal. Just doing things the correct way. Not taking any shortcuts or any easy ways out because in the long run, doing things right will pay off more. One track on the album that I really like was “Goonies”, featuring Kevin Gates. Both of you guys have a similar style to your music and the way you see life in general. It seemed like a collaboration between the two of you was bound to happen. How did it finally come about? We ended up running across each other in Atlanta, Georgia. We ran into each other over at Lenox Mall. I was up there at the same time he was and my homie made the introduction. After that we ended up chopping it up right there in the middle of the mall. There was a huge crowd of people around us actually. To those people who didn’t know who we were they might of thought a fight was about to break out or something. So he starts telling me about how he came across my music and how he had seen me on Farrakhan’s Instagram just the week before and how crazy it was us running into each other a week later. If you think about it, it was crazy that he had just heard of me and the next week we run into each other down at the mall. So anyway, after we talked I went my way he went his you know. I sent him the track about a week later, and he sent it back with his verse in two days. That’s how it happened. My personal favorite is, “Down Here”. It’s just a deep track where I talk about some very real issues. However, as far as lyricism and just going in, it’s “Heatstroke” the introduction to the album. “Heatstroke” is definitely a good one. On the track “Daddy Used To Be The Plug” you have a line, “Read more than most and soaked up knowledge like a sponge”. I was curious, when you are reading what are some genres or authors you lean towards? How important and relevant do you believe it is to spend recreational time reading? Yeah I read a lot man. I spend a lot of money on books man. You’ve got to feed your brain. I always am looking to learn more or learn something new. And everything that I read is English. These are words, and that directly relates to making music. I really mostly like self improvement books, anything I can pick up, read, and use to better myself. I also like anything with twists too, mystery, old poetry, I really like all kinds of stuff. So you’ve just dropped this album and it was the number 2 album in the country which is incredible. You also have other lines of work though and mention how you like to always keep building. What else is in the works for Montana of 300? Any tracks you’ve been thinking about remixing since you released the remix to Desiigner’s hit “Panda”? Really for me I’m still figuring out what’s going to be best for my next move. But as far my team FGE and remixes, I was thinking about maybe doing a FGE cypher remix to “Cut It“. I was thinking about asking the guys if they wanted to do that. That definitely sounds like it would be a cold cypher! Yeah, I’ll talk to the guys and see if we can make it happen man. Speaking of FGE, my homie Talley, he’s got his solo album, and it’s set to come out September 19th I believe. He’s going to be dropping visuals for that basically all summer. Then at the end of the year, December 2nd, we’re dropping a Fly Guy Entertainment album, the whole group. December 2nd we’re dropping the album it’s called No Surrender No Retreat.